APART FROM ACTUALLY TRAVELLING and writing about my adventures, one of my favourite things to do is to follow the exploits of other travel bloggers around the world. I have seen endless lists of ‘Top Travel Bloggers’ over the last few years written by both Irish and international print publications, and am always baffled why us Irish bloggers are always left out. I guess there aren’t really a lot of travel bloggers that actually live in Ireland. While I know we like to jet off at any chance we get, I still think there is a huge gap in the market for great Irish travel bloggers. While there is now an annual Irish Blogger Conference and an annual Irish Beauty Blogger Awards, there are no real opportunities to promote and highlight some of Ireland’s best travel writers. Until now. I present to you, my list of 14 of Ireland’s best travel bloggers. These are people that will fill you with wanderlust, have you searching for flights abroad (or searching for staycations in Ireland) and will give you that bit of travel inspiration you are looking for. Niall Doherty has every right to be top of this list. 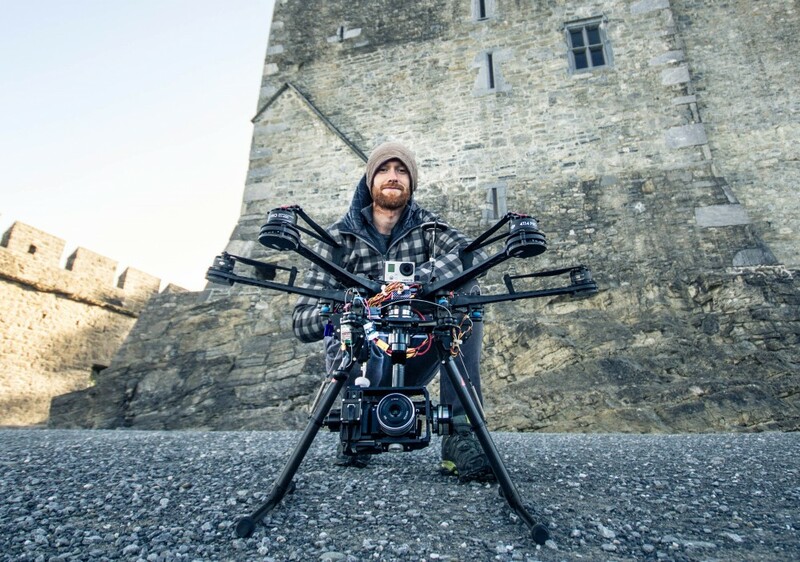 Doherty set off from Ireland on September 30, 2011 on a three and half-year trip around the world…without flying! He successfully completed this insane challenge on May 16, 2015 having visited 37 countries along the way, crossing the Pacific Ocean on a cargo ship, and writing a book! He wrote and vlogged his way around the world so you can check out all his crazy adventure here. 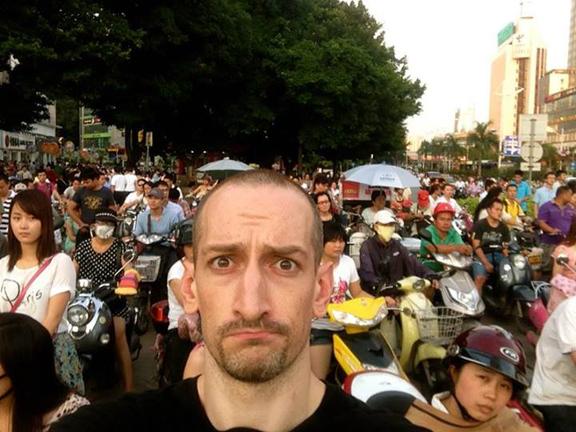 Benny Lewis, the ‘Irish Polyglot’ is the man behind ‘Fluent in 3 Months’ While the purpose of his site is mainly language learning, it came about after he consistently moved countries and continents every 3 months to prove to other that it’s possible be become fairly proficient in a totally new language and new culture in just 3 months. 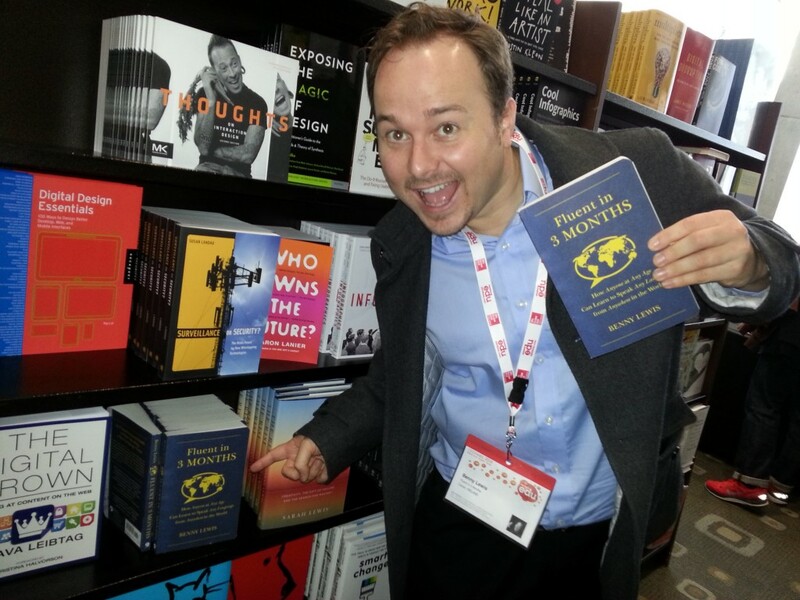 Benny is a full-time globe trotter, best-selling author, conference speaker and travel blogger. Oh, and he is fluent in no fewer than SEVEN languages. Kathleen O Rourke is the lady behind Squidgy Moments, which is an award winning beauty and lifestyle blog. While she mainly writes about fashion, beauty and her adventures in weight loss, she is also an excellent travel writer. Her photographs from her travels would give anyone wanderlust and I love the way she helps you pack for your holiday listing beach essentials. The real bonus is her Travel Vlogs, which not only really capture the atmosphere of her vacation perfectly, but are also really well edited. 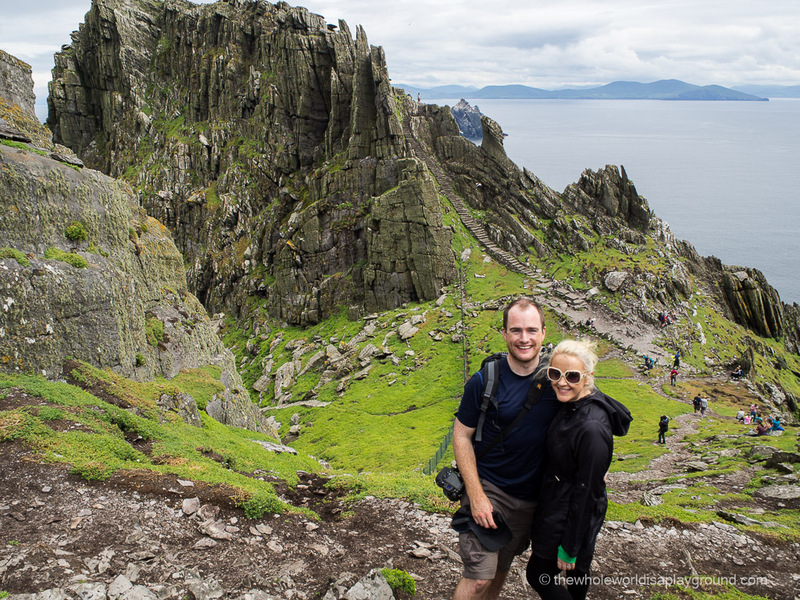 6 continents, 38 countries and over 706 days on the road, blogging couple Carlo and Florence must be two of Ireland’s most well-traveled bloggers! 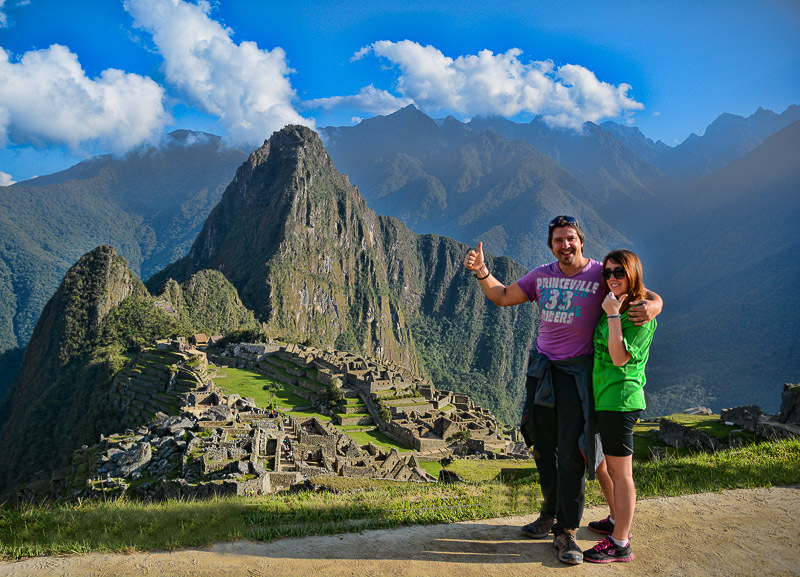 The pair left Ireland in 2013 with a one way ticket to Thailand and a plan to build an online business while travelling the world…and haven’t looked back since! Their site is a mixture of brilliant hotel, tour and gadget reviews, interviews with other travel bloggers, tales from their worldly adventures and detailed reports on how to make an income from exotic locations! Jess Glynn, ‘The Gap Year Guru’, is one of the youngest people on this list. She runs The Gap Year Guru site with her Brazilian boyfriend Arua, and they are doing an incredible job with their newly revamped site. Jess also does Vlogs on her YouTube channel here and runs a very popular Instagram account here. While there has been an evident lack of posts lately, I have high aspirations for this traveling couple and believe the site is only going to get better and better. Watch this space. Nadia El Ferdaoussi is the writer behind ‘The Daily Self’, a mixture between food, beauty and travel. Nadia’s travel and beauty writing has been published in many Irish national newspapers and magazine and it’s not hard to see why. 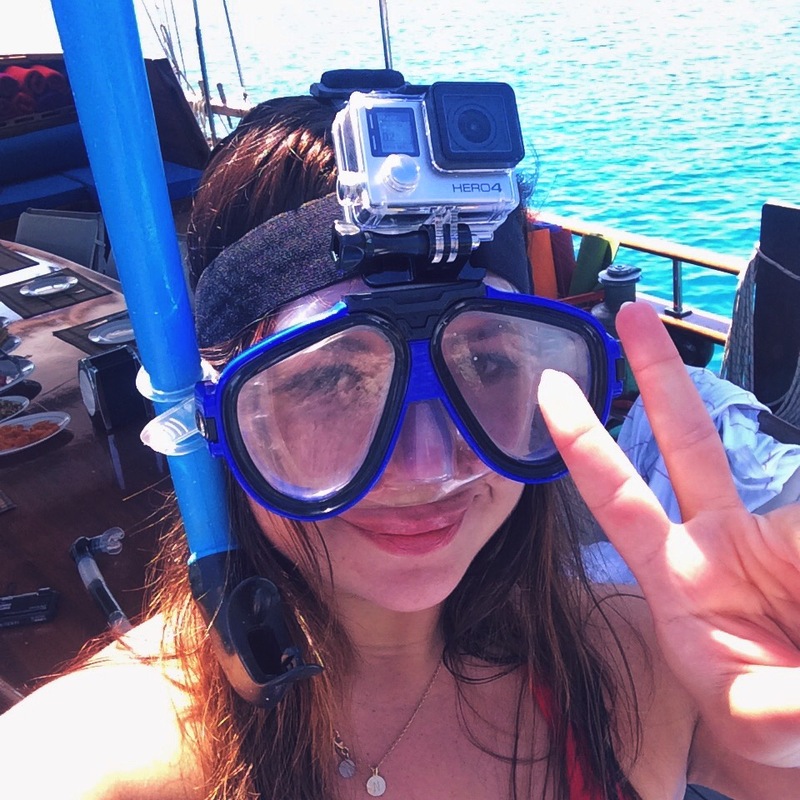 She takes photos that are sure to create wanderlust for any reader, with some particularly great shots taken with her GoPro Hero4 camera on a recent sailing trip to Turkey! 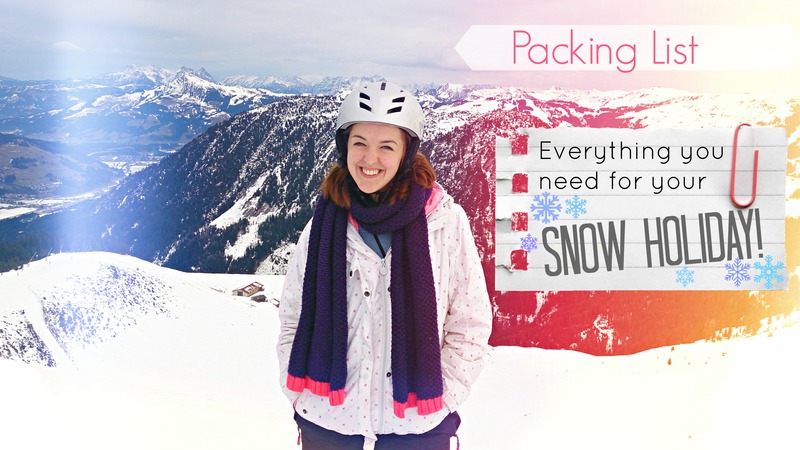 She writes excellent packing lists for all her trips and I think her blog would be an excellent -go-to- site for your next beach vacay! David and Elaine McArdle are the travelling couple behind ‘The Whole World is A Playground’, who have penchant for nice hotels and exotic locations. While most bloggers concentrate on budget travel and backpacking, these guys write about the high end stuff; flights, airport lunges, posh hotels and where to find the world’s best cocktail bars. This blog is such a great resource for anyone planning a trip to the world’s biggest cities like Hong Kong, New York, Kuala Lumpar or Dubai. Steven Sheehy is on this list for a number of reasons. First off, he is an incredible photographer and his aerial photography equipment (and photographs) are unreal. He is also, however, a fantastic travel blogger and has blogged about Ireland, New York, Dubai, Japan and many more exotic destinations. He also gives great tips for taking photos in Rio De Janeiro or snapping Christmas lights or beautiful winter scenes. One to watch! 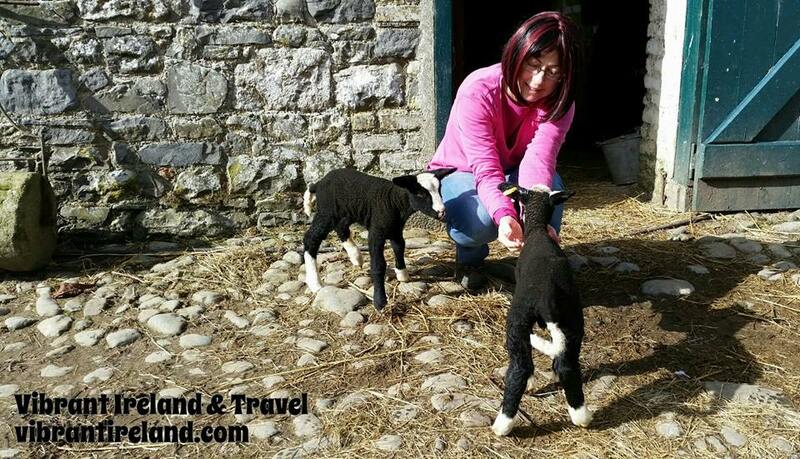 Susan Fitzgerald is the woman behind ‘Vibrant Ireland’, an excellent travel blog dedicated mainly to travel within Ireland but also with a section about overseas travel to some great destinations in Europe. Let’s get back to Ireland though, because that is where this blog is in a class of it’s own. This blog is probably one the best sites to find information about your holiday in this lovely green isle, with posts about food, events, things to do, where to go and even gardens and plants of Ireland. Susan really is a wealth of information and writes beautifully. Her Instagram is also full of beautiful images and would make anyone want to book a flight to Ireland in seconds. Niamh Shields is probably one of the most well known bloggers on this list, although admiteddly for her writings about food rather than travel. 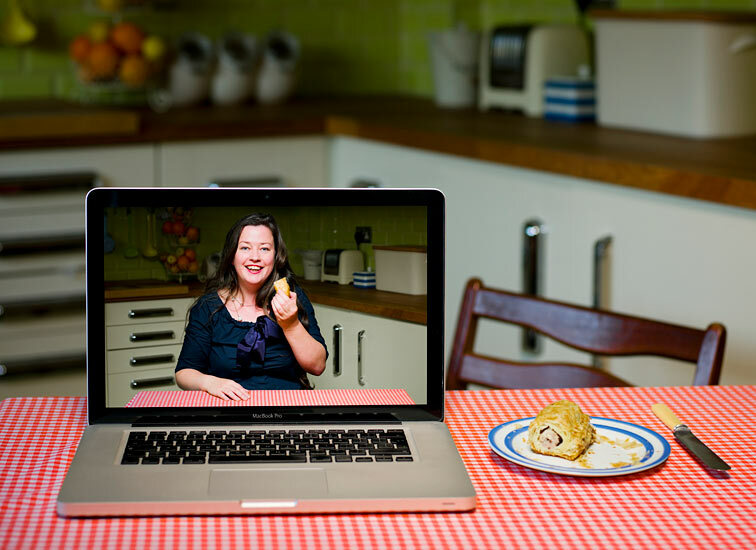 Niamh’s blog, ‘Eat Like a Girl’ has made it on to every Top Blogger list in the UK over the last 5 years, and was even named as one of Britain’s 500 Most Influential People according to The Sunday Times. While I love her food blog, I think it’s the fact that she has essentially been eating her way around the world that I love so much more! With over 30 countries under her belt, including cruises in the Carribean, cooking with grandmothers in Italy, tasting coconut curry in Granada and experiencing shots of Sake in Japan, this girl sure knows how to give the rest if us a major case of itchy feet. Tuisligh, (an Irish word meaning ‘to trip up’) is a site written by Claire Ni Chanainn, a Cork lady who has been travelling the world for many years as a teacher and a volunteer. She tells some truly wonderful tales of her adventures in India (she has been over 6 times!) and also writes about lesser known destinations such as Kosovo and Bosnia. She also has great tips for people wanting to volunteer overseas and, in my opinion, seems like an excellent example of an ethical traveller. While the posts do seem a bit…out of order, it’s a great site none-the-less. Stephanie Buckley from Eat Sleep Chic, gives readers a great mix of fashion, beauty and travel posts. 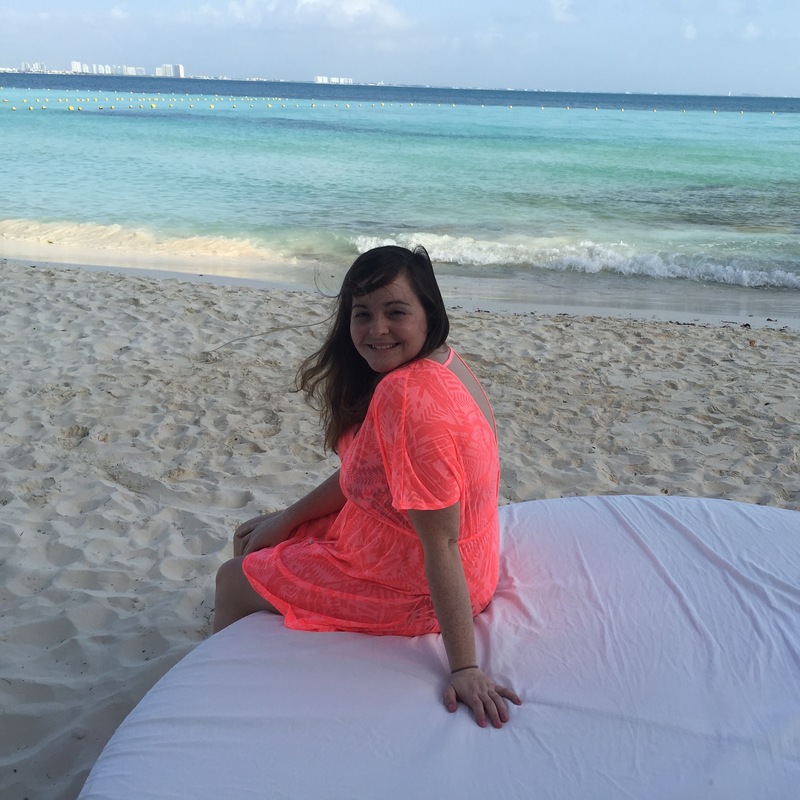 From family trips to Lanzarote and cruises in the Caribbean to tours around Ireland on board a tourist bus, Stephanie certainly offers a great variety of travel posts. 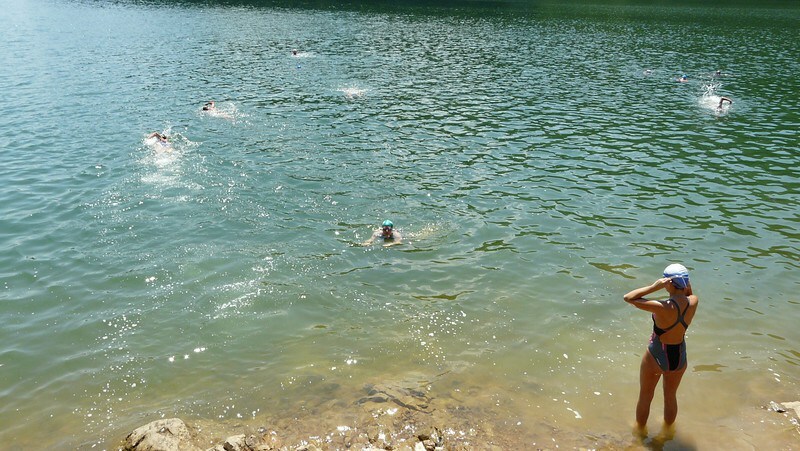 She writes regular posts on ‘Things To Do in Ireland’ making her blog an excellent read for anyone planning a tri here but she also gives great trip reviews such as her guide to backpacking in Brazil, so the site is also great for us Irish in the planning stage of our next big backpacking trip. I especially loved her Game of Thrones post, be sure to check it out here. 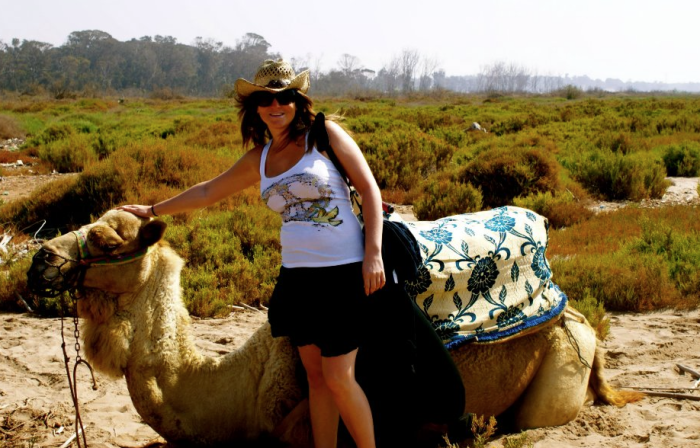 Sarah Slattery, ‘The Travel Expert’, has worked as a travel agent for over 24 years, and has travelled all over the world both as a solo traveller and with her husband and children. Sarah writes about a range of topics from top child-family holiday destinations, tips on when is the best time to book package holidays, tips for booking online as well as excellent destination guides. 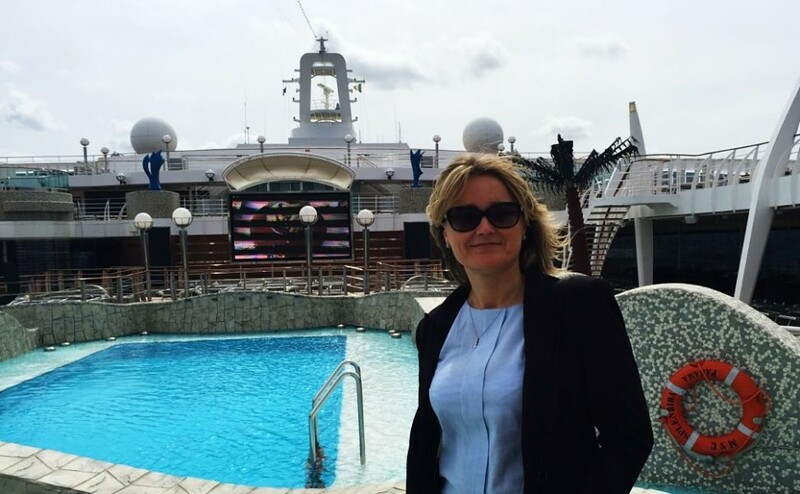 She also keeps her readers up to date with exclusive travel deals that she has found on a regular basis. A great site if you are planning your next package holiday or or just feeling a little wanderlust and want to get some travel ideas. 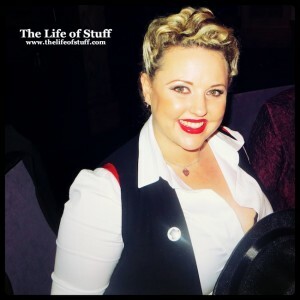 Last, but certainly not least, is Edwina Elizabeth who writes a great series of travel posts on her site ‘The Life Of Stuff’. I especially love Edwina’s ‘Five Fabulous Reasons To Visit…’ series which details great reasons to visit various destinations from as close as Ireland and as far as India. Most of her posts are about various places in Ireland and this is by no means a bad thing. Her posts are so full of colour, and are accompanied by such great photographs, that reading them makes me want to explore my home country more and more. I mean, how could you NOT want to sail down the River Shannon after reading this post? !